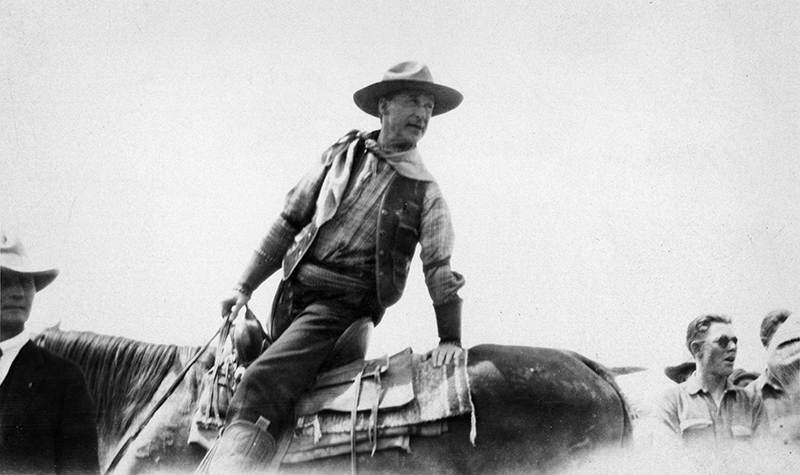 SCVHistory.com NP2601 | William S. Hart Attends Little Bighorn 50th Anniversary, 2 Views, June 1926. 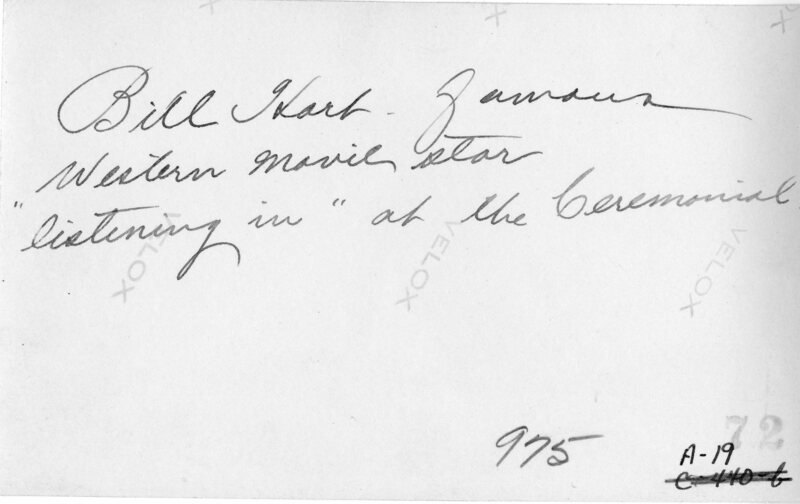 June 1926 — Actor William S. Hart attends the 50th anniversary commemoration of the Battle of the Little Bighorn, aka Battle of the Greasy Grass, in Billings, Montana, and at the Crow Agency. Photos courtesy of National Park Service, Little Bighorn Battlefield National Monument. 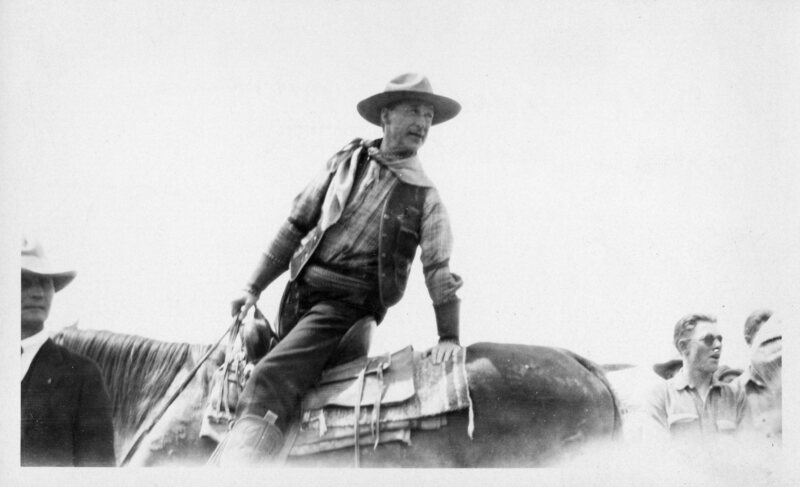 ABOVE: Black-and-white photograph of William S. Hart on horseback at the 50th anniversary of the Battle of Little Big Horn. The photograph is 3½x5¾ inches and was produced circa 1926 by an unknown photographer. 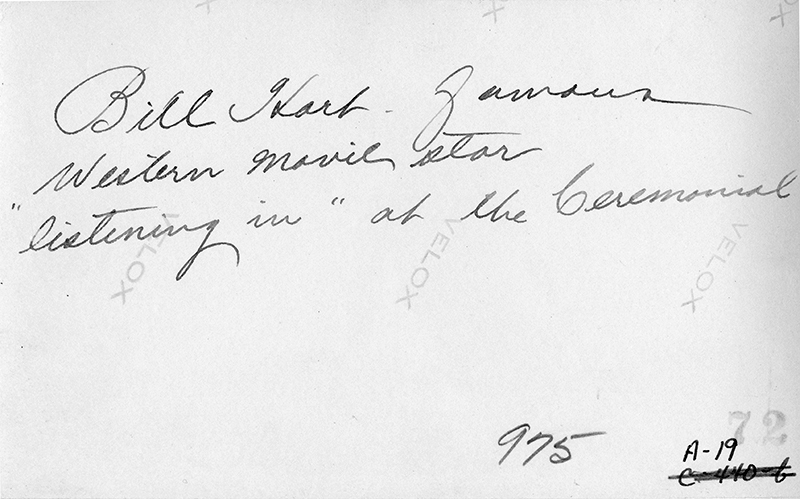 On the verso, a handwritten notation in black ink reads, "Bill Hart — famous western movie star 'listening in' at the Cermonial." NPS Cat. No. 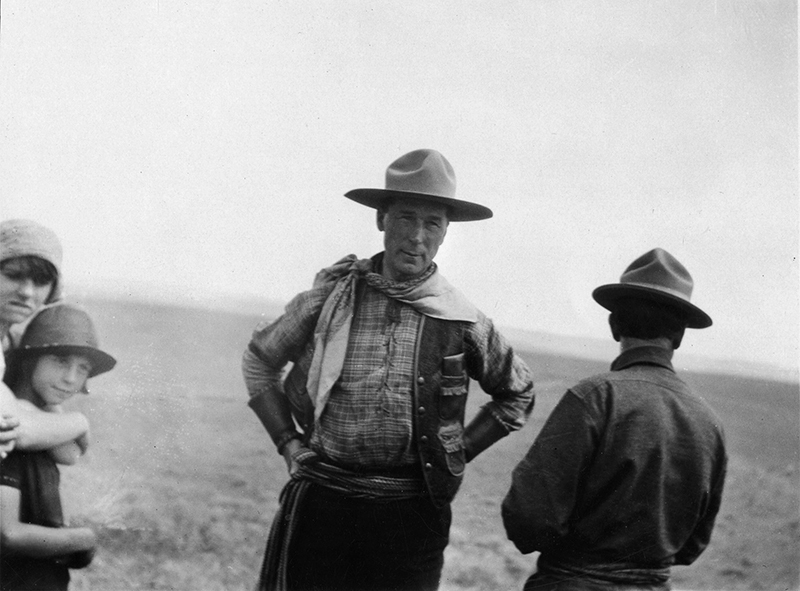 LIBI_00019_00975: "Bill Hart — famous western movie star listening in at the Ceremonial," circa 1926. 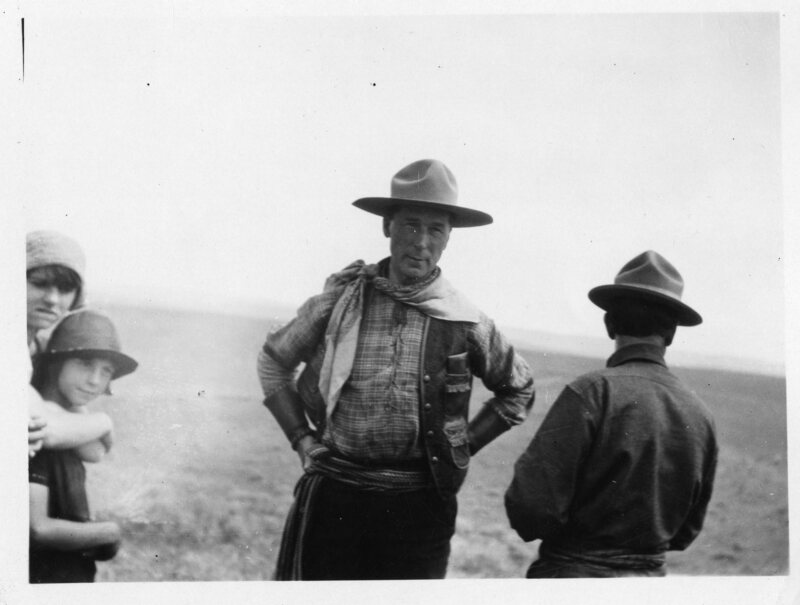 BELOW: Print, Photographic: William (Bill) Hart, standing 3/4 view. 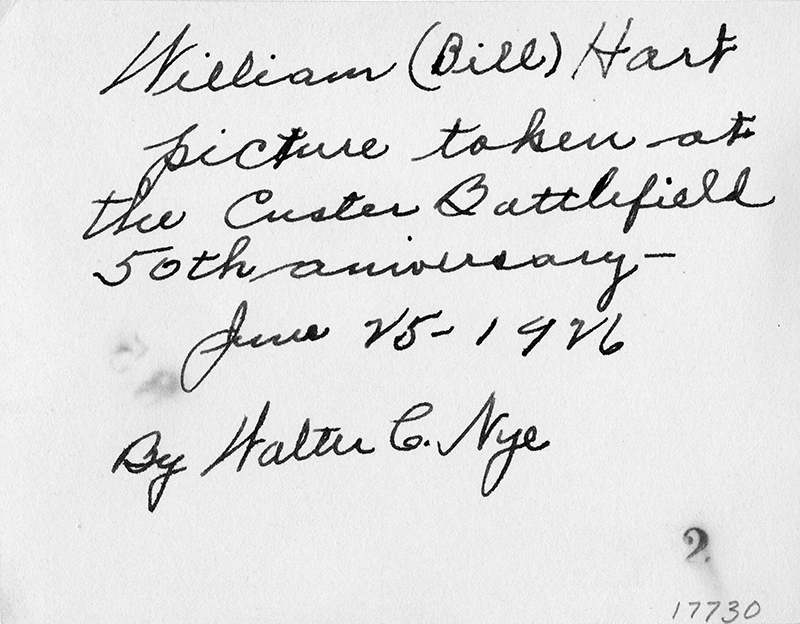 The inscription on the reverse side of the photo, written in blue ink, reads: "William (Bill) Hart, picture taken at the Custer Battlefield 50th Aniversary [sic] — June 25, 1926, by Walter C. Nye." NPS Cat. No. 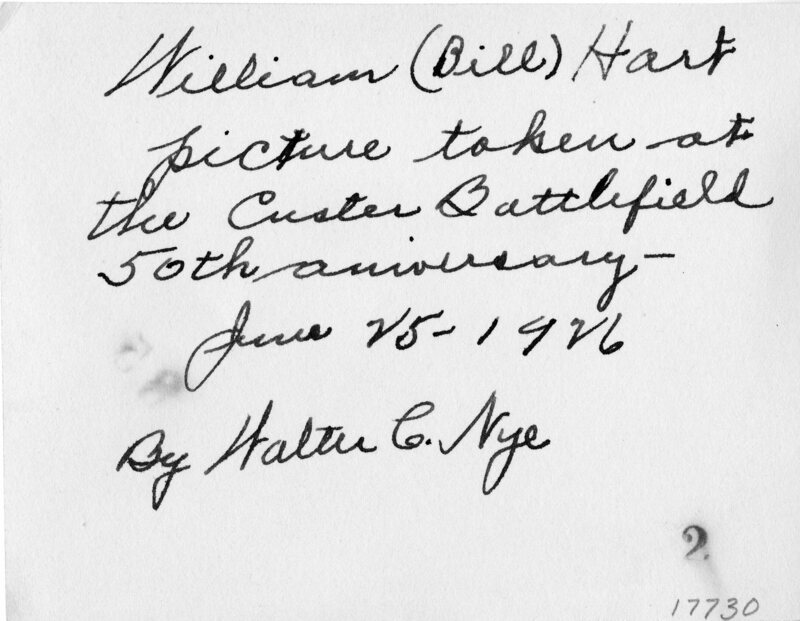 LIBI_00603_17730: Photograph by Walter C. Nye, "William (Bill) Hart at Custer Battlefield 50th Anniversary," 25 June 1926. (LIBI_00603_17730) Click image for archival scan. (LIBI_00019_00975v) Click image for archival scan. (LIBI_00603_17730v) Click image for archival scan. NP2601: 9600 dpi jpegs from original photographs scanned by National Park Service, courtesy of Philip Scorza.